News from LMCU: Sign up for LMCU eStatements for a chance at a free Apple iPad mini! 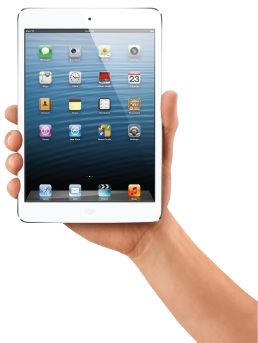 Sign up for LMCU eStatements for a chance at a free Apple iPad mini! Still filling your filing cabinets with monthly paper banking and mortgage statements? Stop! Go digital with LMCU’s eStatements. Convenient – delivered right to your email inbox. You could win a free Apple iPad mini! All current LMCU members who have signed up for eStatements are automatically registered to win. If you still get traditional paper statements for your LMCU banking and mortgage accounts, you can make the switch to eStatements within online banking. Click on the Other Services tab and then on eStatements/eNotices, or stop by any branch location. Contest begins Friday August 1 2014. Entry deadline is September 15, 2014. Sign up today!